Think of soft and glowing skin… we compare it with the soft petals of roses. In reality also, rose has been widely accepted as an important ingredient in beauty regimes. 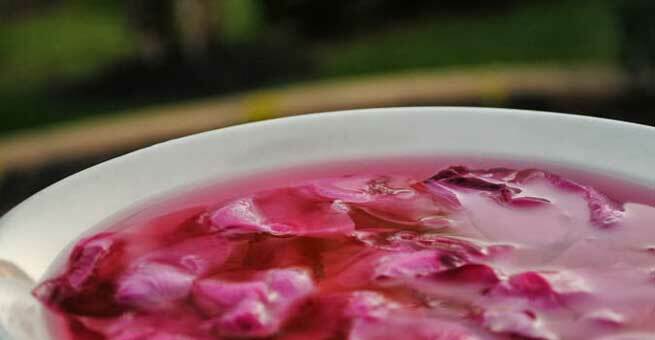 Though mostly rose water and essences are used for face packs, using rose petals directly can enhance the benefits largely. It acts as an awesome skin toner: Rose petals are known to be a great skin toner that removes dust and dirt from your skin instantly. Soak some rose petals in water and use it to wash your face and neck at the end of the day. It will not only help remove your face makeup smoothly but also add moisture and glow to your skin. It helps remove wrinkles, giving you a smooth skin: Having anti-oxidant properties that prevent wrinkle formation, rose petals are also good as an anti aging solution. 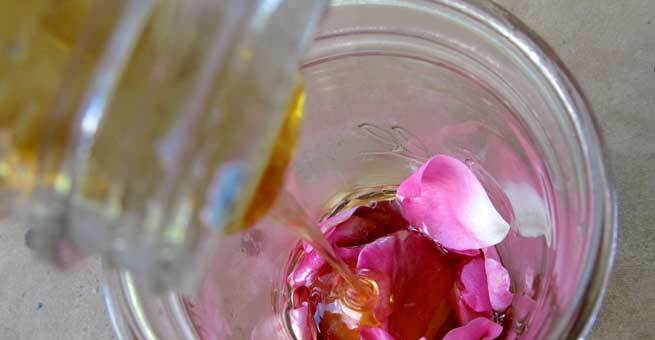 Mix rose petals with various other ingredients to make a face pack that you need to apply at least twice weekly. You will surely fall in love with your skin within weeks. It helps fight against acne problem: Recognized as an effective solution to fight against bacterial infections naturally, rose petals can also be used to treat your acne problem. It helps heal the redness and bumps on the skin in a soothing manner without any side effect. It makes for a good sunscreen that prevents dark circle formation: Finally, rose petal is also effective as a natural sunscreen which prevents skin tanning, dark circles and sun patches within weeks of usage. Feeling excited as you learn about the numerous beauty benefits of rose? Well, before you gear up to buy some rose products over the counter to enhance your beauty, it is always suggested to opt for homemade solutions. Extremely easy to make, these homemade rose face packs not only ensure a smooth and glowing skin but also zero side effect. 1. Rose petals blended with yogurt in a smooth paste make for an amazing face pack that you can use every day to get glowing skin. From moisturizing the skin to removing the suntan, this face pack is undoubtedly a must in your beauty regime. 2. Rose water mixed with honey and lemon also makes for another homemade face pack that keeps your skin clean, detoxified and soft without any effort. 3. Grind some rose petals with the soft sandalwood paste to make a face pack that rejuvenate and relax your skin thoroughly. This pack is also beneficial in removing wrinkles and aging marks rightly. 4. Rose petals can be used with many more simple yet effective ingredients such as aloe vera, orange peel etc. for beauty benefits. Mix all and apply on skin to get instant glowing skin that is sure to make you confident and content.